Artworks artist Kit Price Moss has co-curated a ‘Tall & Thin’ exhibition with members of the West Norfolk Artists Association (Kit is chairperson of the West Norfolk Artists Association). Kit Price Moss organised the exhibition to encourage the artists to ‘think outside their normal comfort zone’. 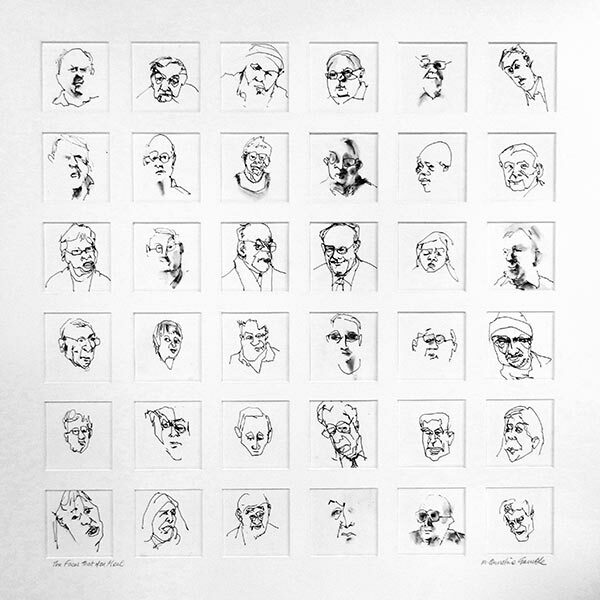 Each of the selected artworks are no wider than eleven inches. Kit’s own work in the exhibition, ‘Kittywake Castle‘, is based on ‘a drawing of seabirds whilst visiting North Berwick and Dunbar last summer, depicting nesting kittiwakes on a pinnacle’. 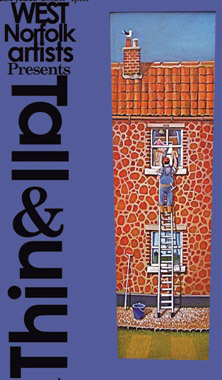 ‘Tall & Thin‘ is currently showing at Greyfriars Art Space from 21st May until 1st June 2012. Greyfriars Art Space is an artist run initiative in King’s Lynn providing professional exhibition opportunities and affordable studio workspace to local artists. Of the ‘Tall & Thin‘ exhibition, Kit says: “We’ve had a terrific response here at Greyfriars Art Space, and we’ve been quite astounded by the creativity you can see here. We have works suspended from the ceiling, ceramics and sculptures besides the usual paintings”. The artists exhibiting ‘Tall & Thin‘ works are: Helena Anderson, Tony Bellars, Helen Breach, Brenda Brown, Alan Castleton, Barbara Cichocka, Simon and Fran Crawford, Alison Dunhill, Peter Edwards, Joan Evans, Tod Evans, Ann Froshaug, Lydia Haines, John Hughes, Jill Ilett, Jane Ironside, Jo Halpin Jones, Giselle Keeble, John Lawson, Neil Leggett, Steve Martyn, Kit Price Moss, Tom Sharp, Michael Smith, Julie Spriggs, Will Strong, Tom Thompson, John and Helen Walker, Andrew Williams, Julie Witt, Joan Wooll and Pauline Wrighton. This entry was posted in artworks news and tagged exhibition, kings lynn, kit price moss, norfolk, west norfolk artists association on May 23, 2012 by admin. 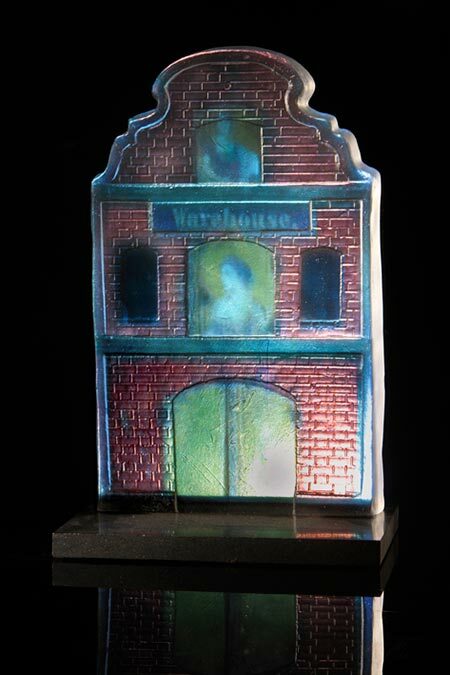 Liz Waugh McManus has had one of her multimedia works, Family Tree (using cast glass and projected film), selected for two art exhibitions. 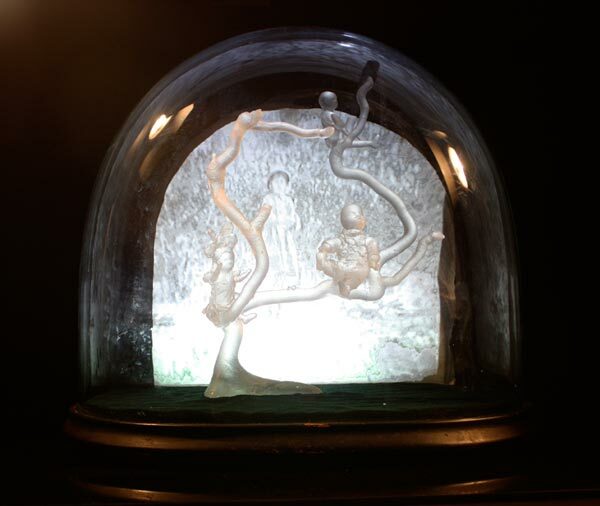 Family Tree consists of three glass dolls perched on a tree inside a traditional glass dome. Behind these glass children, runs a projection of footage taken in the 1920s and 1930s of real children playing games in environments as diverse as a Scottish beach to exotic scenes of India. The piece celebrates children’s games of the past and references nostalgia, heritage and the human desire to preserve things. 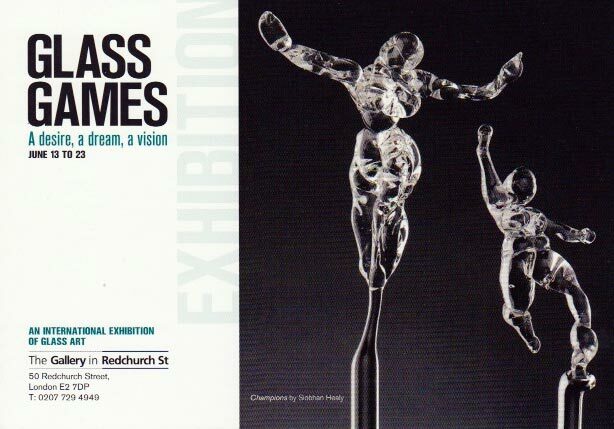 Family Tree will first be exhibited at Glass Games: a desire, a dream, a vision, to coincide with the lead up to the Olympics, at East London’s The Gallery in Redchurch Street from 13th to 23rd June 2012. The exhibition is organised by the Contemporary Glass Society and is funded by Arts Council, England. After Glass Games finishes in late June 2012, Family Tree will then travel on to another high profile exhibition, the British Glass Biennale at The Ruskin Glass Centre in Stourbridge (this is the second time Liz has had work selected for this prestigious show). The exhibition runs from 24th August to 15th September 2012. Fairfield I is another piece by Liz Waugh McManus exploring themes of family, childhood and nostalgia. The glass building in Fairfield I is a replica of a doll’s house made by Liz waugh-McManus’s great-grandfather, with projected animations of the original dolls and other memorabilia. This entry was posted in artworks news and tagged british glass biennale, exhibition, glass, liz waugh mcmanus, london, multimedia, olympics, sculpture on May 12, 2012 by admin. 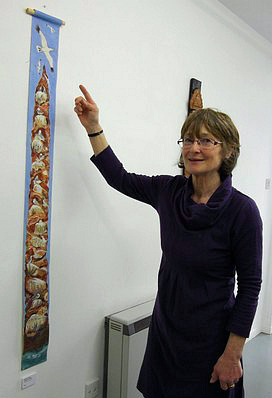 Alison Jones has been a member of Artworks since it began in the year 2000. She has contributed to the annual Artworks exhibitions with botanical paintings in watercolours and ‘still life’ in pastels. Alison Jones has also exhibited at the Royal Horticultural Society. In 1990 and 1993 Alison Jones was awarded the prestigious Grenfell Silver medal at the Royal Horticultural Society’s annual exhibition for her exhibitions of fuchsias and cyclamen coum – and she has also been awarded the Grenfell Silver-Gilt medal twice, in 2000 and 2008. Alison Jones has also exhibited at the Society of Botanical Artists in London, and is also a member of the Society of Floral Painters, exhibiting annually in the South of England. You can see more of Alison’s botanical paintings on Alison Jones profile page. In August 2010 Alison joined twenty three other flower painters who had their first exhibition in the Edmund Gallery in Bury St Edmunds, Suffolk. 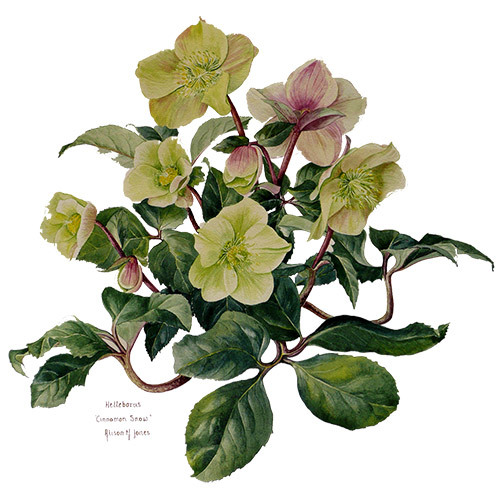 Following its success the Iceni Botanical Artists was born in October the same year, with aims of encouraging and practising a high standard of all forms of botanical art through annual exhibitions by members. The Iceni Botanical Artists (IBA) is now engaged in a unique project to record and document the rarest of Norfolk’s Breckland wild flowers. The collection of original paintings will be available for exhibitions at different venues and will be included in a Florilegium of wild Breckland Plants. More news nearer the time. Meanwhile, the The Iceni Botanical Artists will be exhibiting again at the Edmund Gallery from 3rd – 8th August, 2012. This entry was posted in artworks news and tagged alison jones, artists, artworks, botanical paintings, flowers, norfolk, pastels, royal horticultural society, suffolk, watercolours on May 5, 2012 by admin.